TUTORIAL // FPP Friendship Circle Block! Although my Post-A-Day Challenge for September fizzled away too near to the end of the month, I’ve re-kindled the friendship between me and blog and we’re ready to present to you another awesome Quilt Block Tutorial! Yay! Everything you’ll need to know on how to piece this little beauty together is in the video below and trust me when I say that this block is easier to make than it looks! I hope all have the most terrific weekend! This really is a gorgeous block. I’m having fun doing tonal blocks that I hope to make into a rainbow quilt. Did I mention this is my first time doing FPP? It’s SO much fun and I love how accurate the piecing is. I’m the worst at getting cleanly pieced blocks usually. I may not make quilts any other way now! LOL 😂 Thanks for sharing, Amanda! Beautiful I can’t wait to make this block! oh my goodness…stop! Stop making beautiful, addicting blocks…lol! 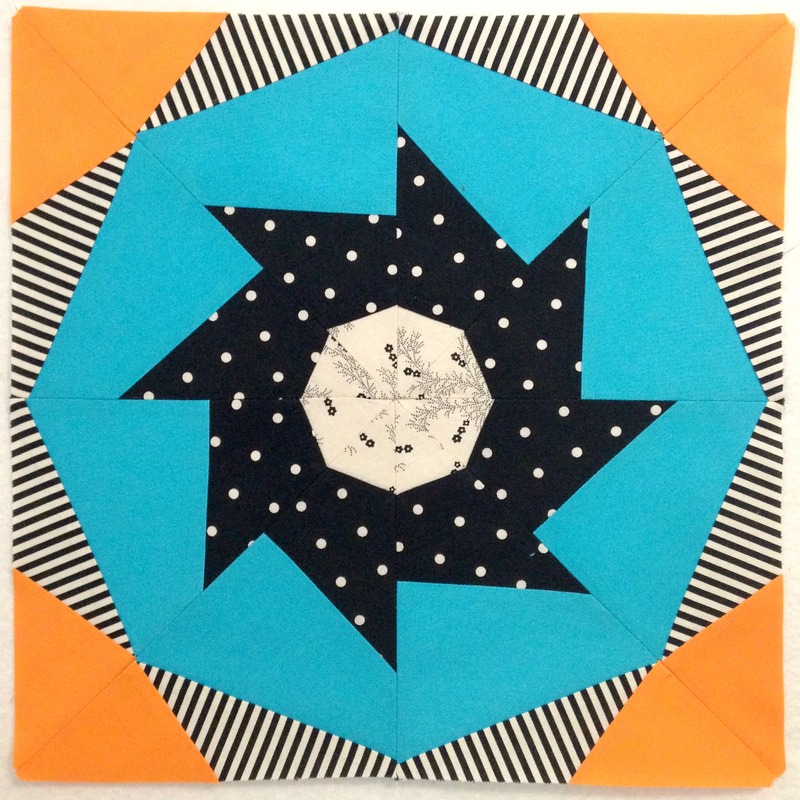 Each time you post I add another block or project to my list…and it’s growing faster than I can sew 🙂 I just love the movement in this block and it’s been a while since I’ve done FPP; can’t wait to give it a go!